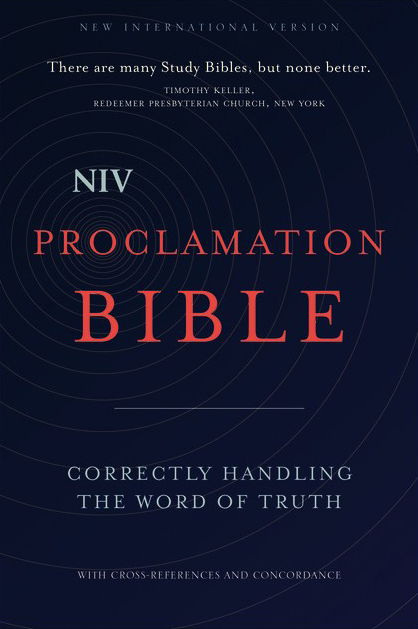 This hardcover Bible offers a valuable resource for those who teach from the Bible regularly and anyone who enjoys studying Scripture in greater depth. 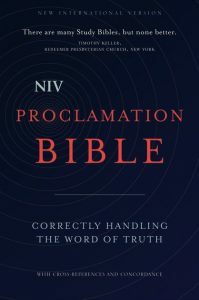 The NIV Proclamation Bible features ten introductory essays on theology, doctrine and the application and interpretation of Scripture, as well as detailed overviews of each literary genre in the Bible–from the historical narratives to the apocalyptic literature. It also features introductions to every Bible book.